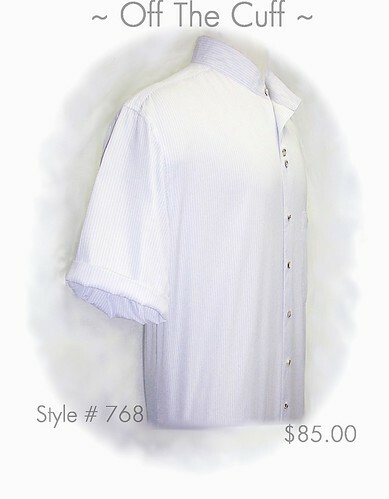 Essential for warm lazy days, this 100% Swiss cotton shirt is smooth, cool, and comfortable. Sky Blue mini-stripes, a shaped band collar, and double button detail accent this distinctive design. An OTC exclusive, made in the USA. 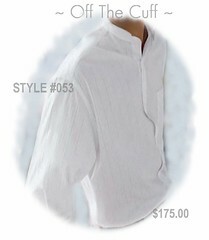 This exquisitely tailored long sleeve shirt is fashioned from the finest linen. Accented by flap pockets and horn buttons, it makes a distinctive style statement. 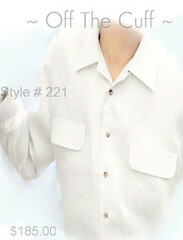 Shown here in Oyster White, ~Off The Cuff~ style 221 is also available in Pale Yellow and Blush. Made from the smoothest shell-gray swiss cotton, this shirt is lean yet comfortable. Perfectly accented by a uniquely shaped collar, it is perfect for any ocassion. 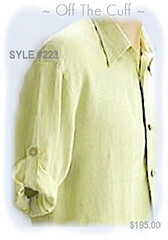 This ~Off The Cuff~ shirt can be fashioned with short sleeves, and is also available in white. Casual dressing is defined in this easy to wear ~Off The Cuff~ HEMP shirt. 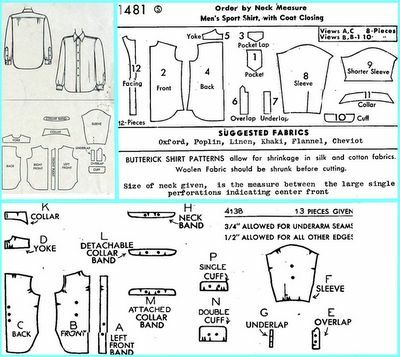 Wear the sleeves rolled as shown or lower to button at the cuff. Versatile comfort! Featured here in Pistachio, it is also available in Berry. 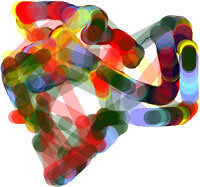 This is another "cool tool" for generating images. Go to the site and look at their 'gallery' to see other examples. In color or black and white, these images can be used the same way as images from 'typo-generator'. ~Click Post Title, above, to link to Scribbler~ FREE and FUN! 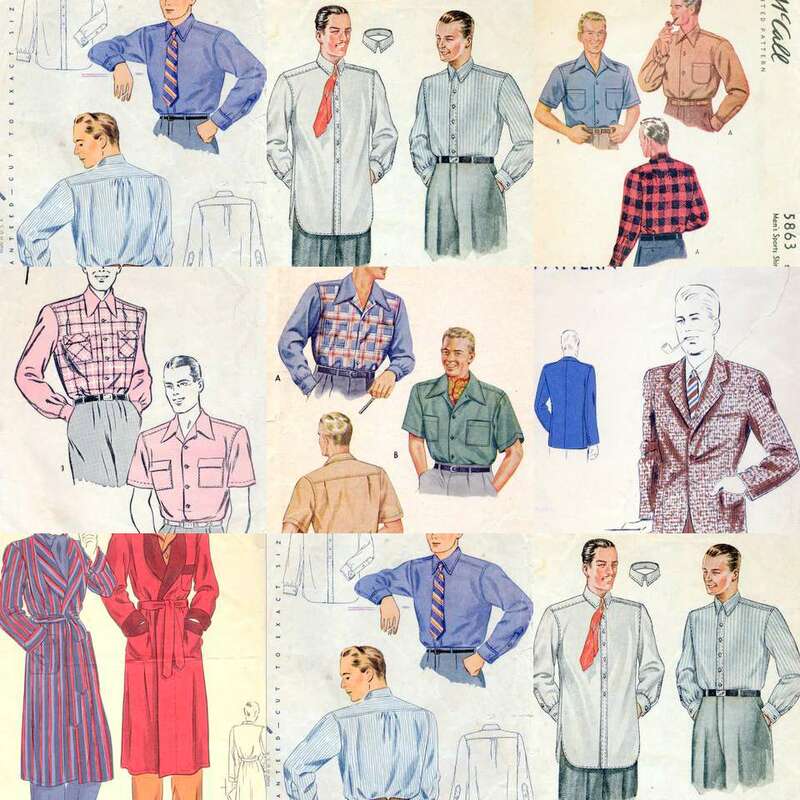 Favorites from my collection of vintage patterns. These are vintage shirt patterns drafted circa 1940-1959. 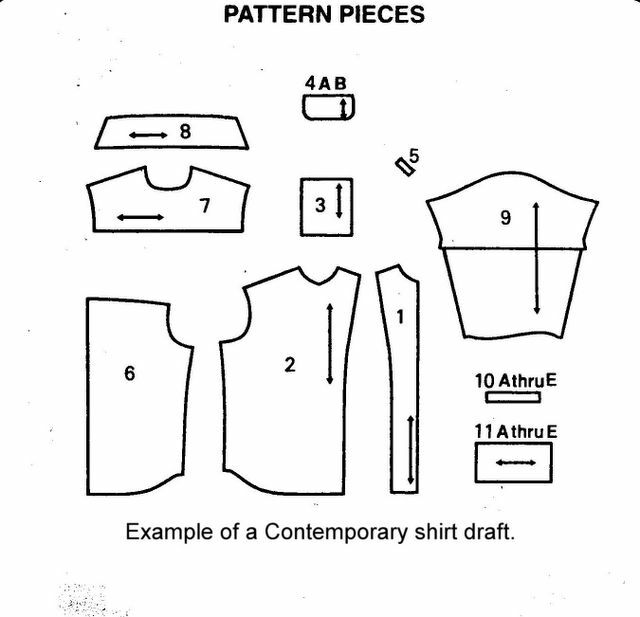 Notice the subtle shaping of the pattern pieces. 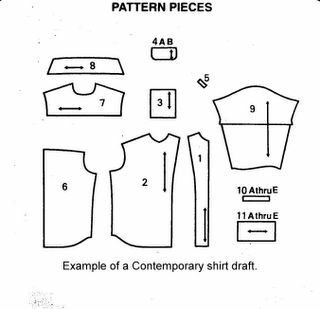 This is an example of a contemporary shirt draft. 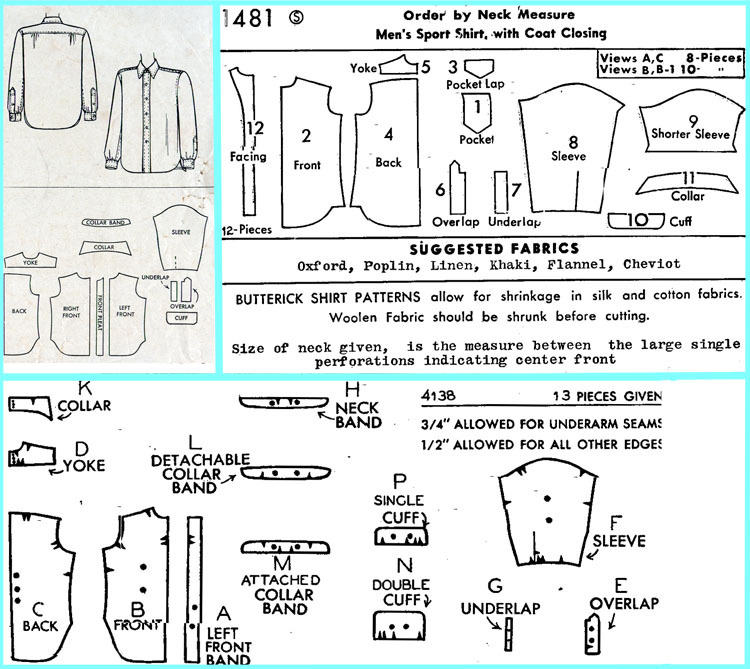 Compare the shape of these pattern pieces to the vintage pattern drafts.